UK Visitor Attractions get £50m investment. With ‘staycations’ in the UK becoming ever more popular, the Visitor Attraction Sector has seen an investment of £50m to enhance and develop existing Attractions, in line with the rising number of visitors they have seen in the past year. With inbound UK holidaymakers already boosting the Leisure Sector, it is expected that more international visitors will also be attracted to the new openings of rides, with the likes of Alton Towers’ Wicker Man ride, the first wooden ride to open in Britain for 20 years and the much-anticipated Bear Grylls ‘survivalist’ attraction. These exciting openings, paired with innovative, Virtual Reality experiences, prove Theme Parks are embracing new technology, developing new environments which are fun for all of the family – even in this technology driven time. We have worked with a number of UK’s Theme Parks, from Paulton’s to Sundown, Alton Towers to Legoland; we have created and helped develop some of the newest ride attractions. We have seen and felt, first hand, the changes that the Visitor Attraction sector has endured over the last two decades and it has been quite the rollercoaster ride! That being said, we are definitely on the incline now. 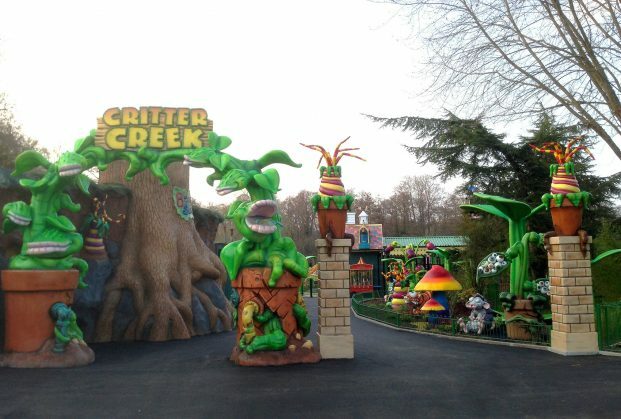 See our Theme Park work here.